It’s my plan with this blog to post updates once a week, usually on Mondays. It takes some time to write these stories, and while I love doing it (and I'm grateful to my readers), I have to focus on other writing tasks too. But once in a while, though, like this week, I’ll slip in a second, shorter post to report on something that truly merits attention. This past weekend (February 17), I had the pleasure of attending a special performance of the Signal Light Festival at Prague’s Rudolfinum concert house to watch an elaborate interplay of light and classical music. It was mind-blowing. 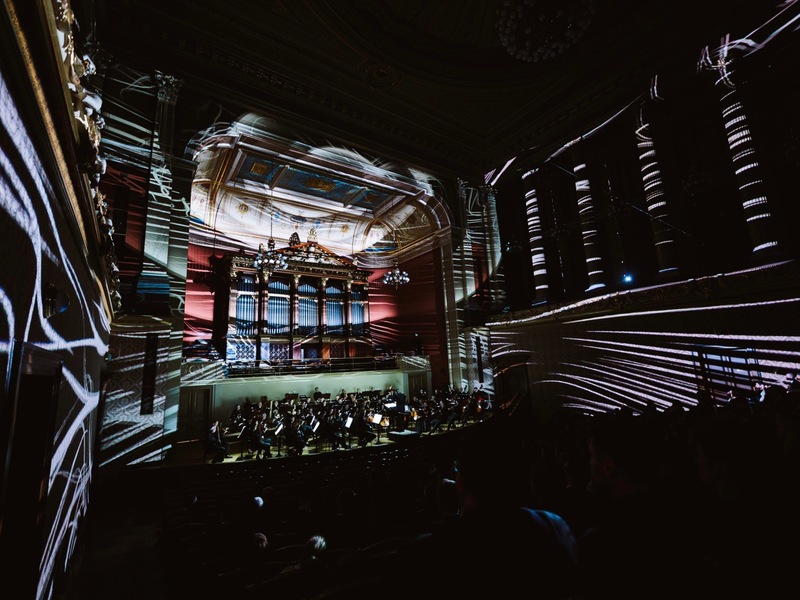 Top Photo: The Rudolfinum's august Dvořák Hall was bathed in trippy lighting for the arrival of Signal Festival. Photo credit: Dušan Vondra. 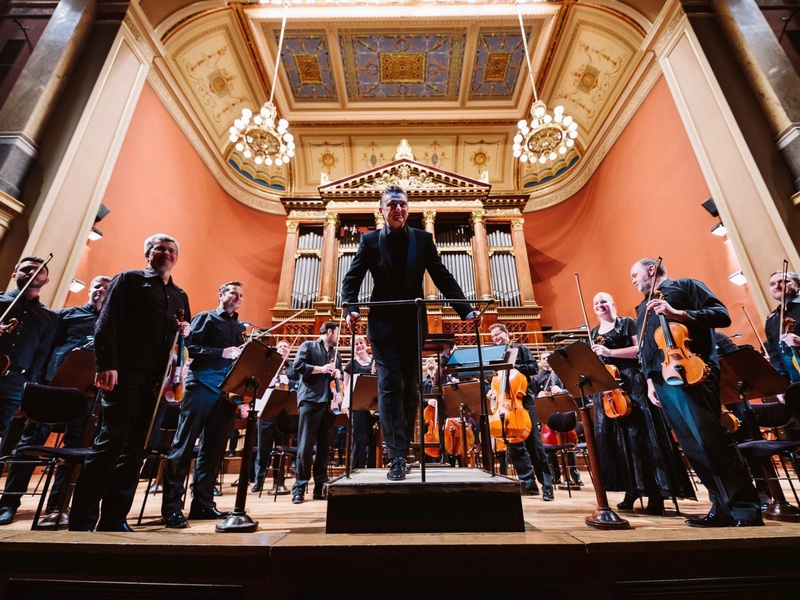 Posted in Diversions, Life In Prague and tagged classical, Czech, Dvorak, festival, light, Prague, Rudolfinum, Signal, Smetana. The Prague Radio Symphony Orchestra and conductor Jan Kučera. Photo credit: Dušan Vondra. The Rudolfinum's Dvořák Hall. Photo credit: Dušan Vondra. 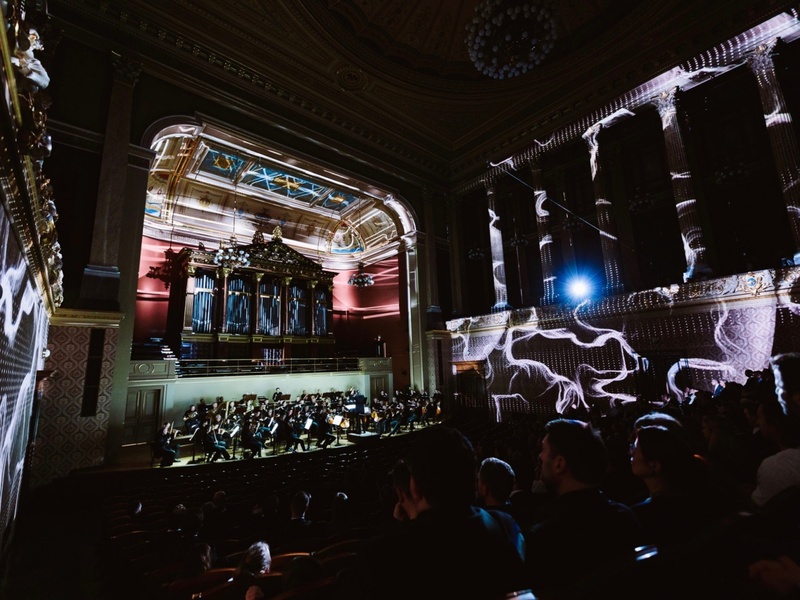 For anyone not familiar with Prague’s Signal Festival of Lights, the idea is to project computer-generated images onto public spaces, usually historic buildings, with the idea both of entertaining and educating. 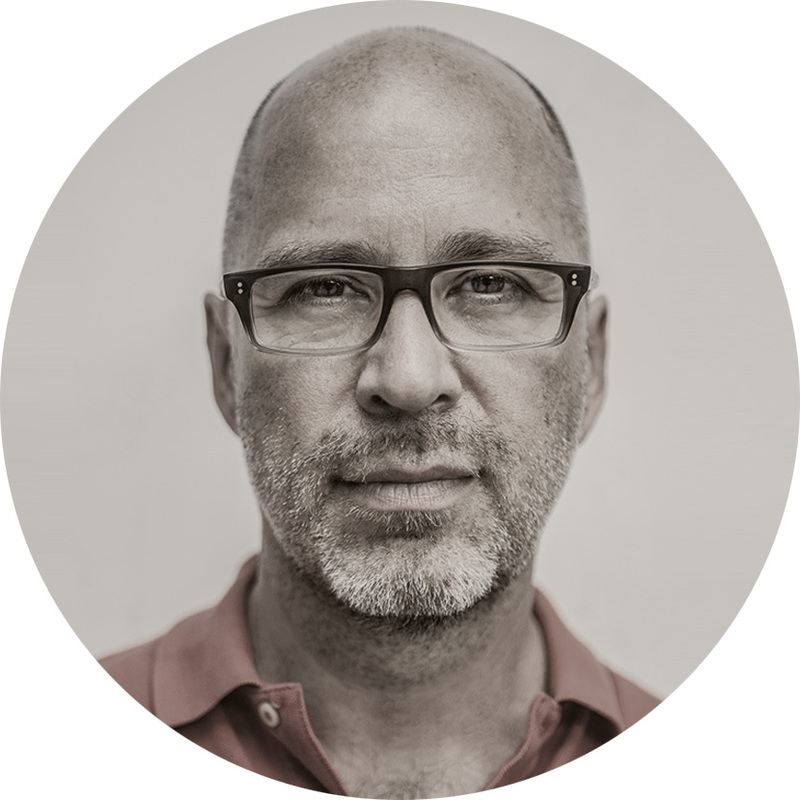 The artists, or programmers, have a full range of expressive tools at their disposal – light, sound, color, text, imagery, anything a computer can do – to weave intricate visual and aural narratives. 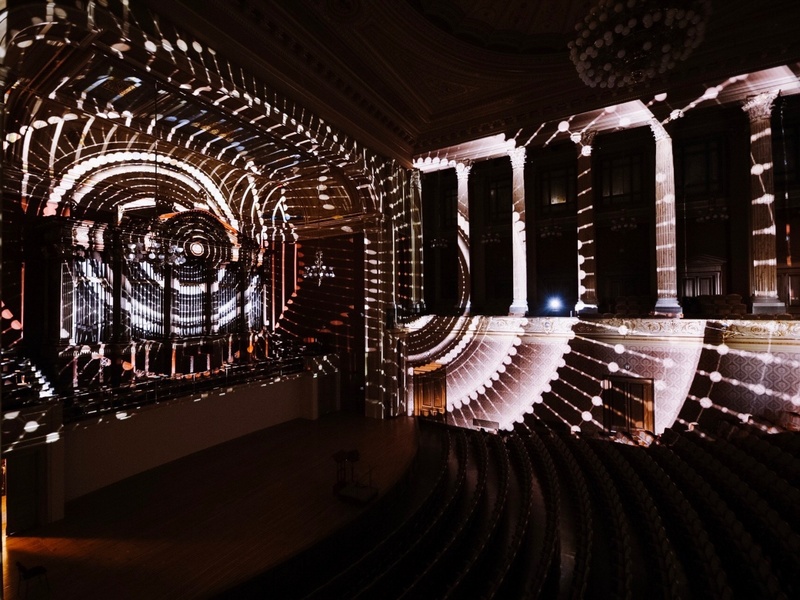 The best of these, like the original 2010 video mapping of Prague’s Old Town Hall (on the occasion of the 600th anniversary of the Astronomical Clock), are simply revelatory. They play on a building’s unique architecture, history, and in the case of the Astronomical Clock, its mystery too. If you’ve never seen this particular video mapping, check out the YouTube video here. To be honest, I wasn’t sure I was going to enjoy pairing visual imagery with classical music. I often find myself closing my eyes during classical concerts to focus better on the music. I was afraid I’d forget the lights -- or, on the other side, be so entranced by them I’d scarcely hear the sounds. I didn’t need to worry. 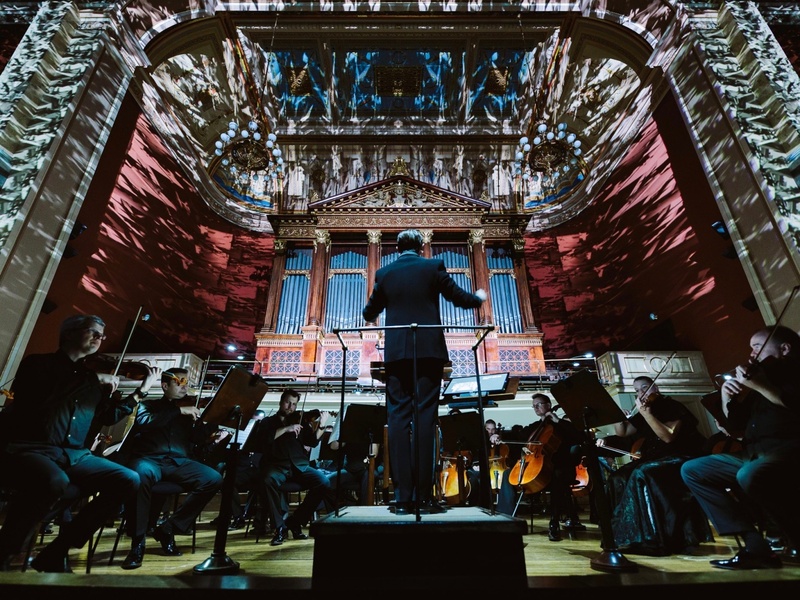 The organizers, in conjunction with the Prague Radio Symphony Orchestra, made the wise decision of choosing pretty but relatively undemanding – for a Czech audience – musical selections, like parts of Bedřich Smetana’s “Vltava” symphony and Antonín Dvořák’s Symphony No. 9 (The New World Symphony). These are pieces I know well after living here (and that any Czech will know by heart). The effect was to free the audience to follow the lights. And follow the lights I did. 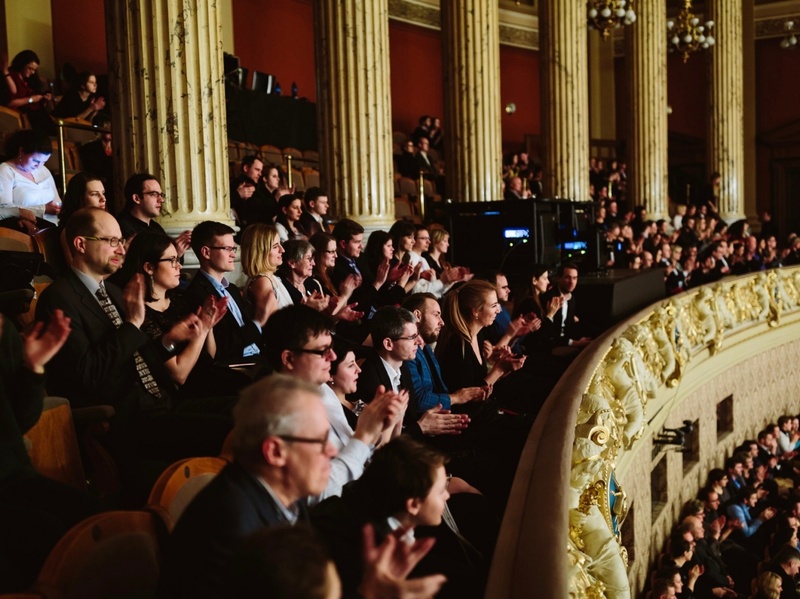 Once we sailed through the opening Vltava symphony and entered the second musical selection, my initial resistance had melted. As the second piece got going, and the lights got progressively wilder and wilder, I was hooked. (I can still see in my mind the images above the orchestra of what appeared to be giant smoke rings sailing off into infinity – like you’d imagine after a tab of LSD). It’s fair to say it lent a dimension to the music I’d never experienced. Here’s a short video clip of the performance, but it doesn’t begin to capture the trippiness of the event. The house was packed and people seemed to love the show. Photo credit: Dušan Vondra. Whatever they’re going for, it works. My hope, now, is the Signal organizers will hold these concerts more than once a year (as is the case, I believe), and that the energy created here carries over into the annual Signal Festival of Lights later in the autumn. That festival – in recent years – feels like it’s lost a little something of its luster, and I’m really looking forward now to seeing what they have up their sleeves.